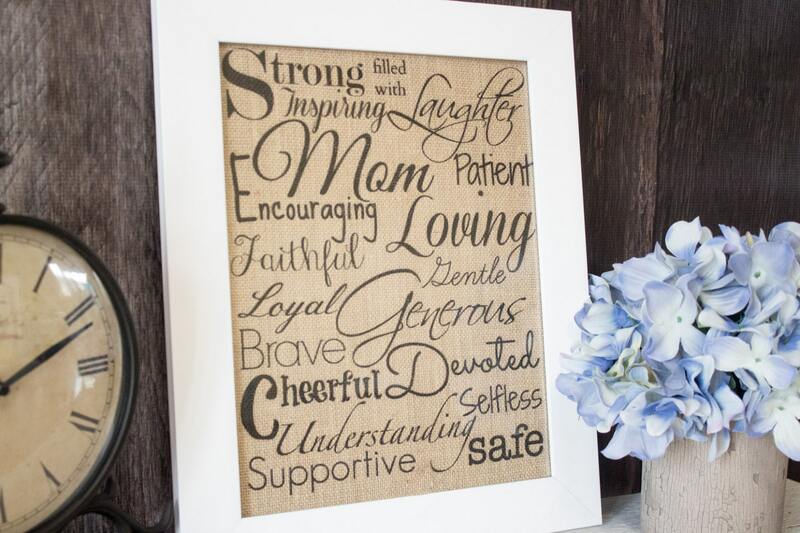 Let your Mother know what an inspiration she is to you! 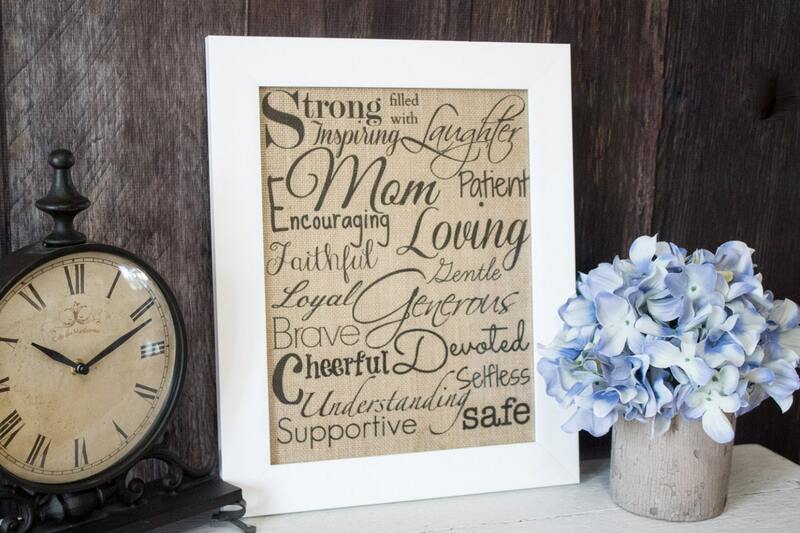 This charming wall art expresses so many characteristics of that one person whose steadfast love and support is our rock throughout life. 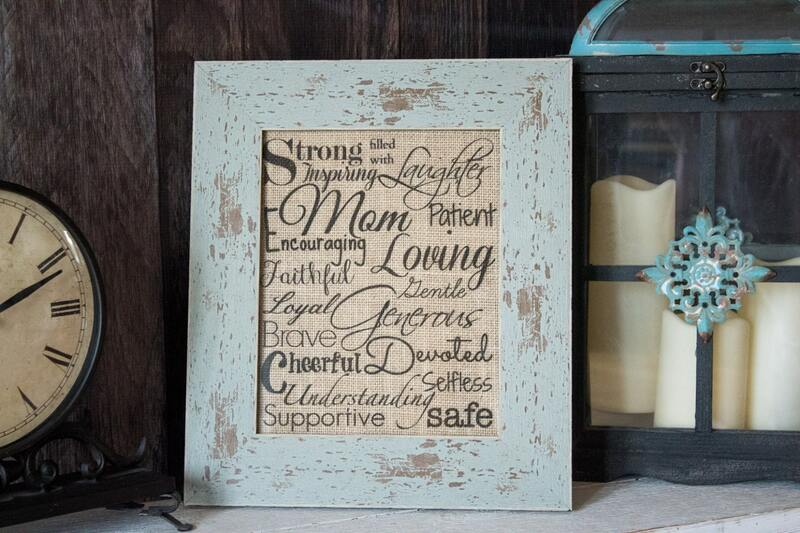 Not only is it a perfect gift for Mother's Day but a fantastic piece for the new Mom as well. 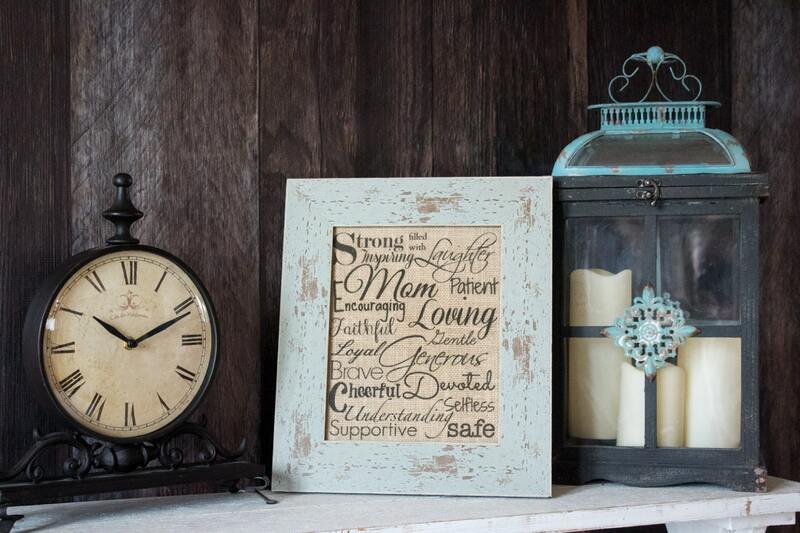 Husbands, want to let your wife know how much you appreciate who she is to your family? 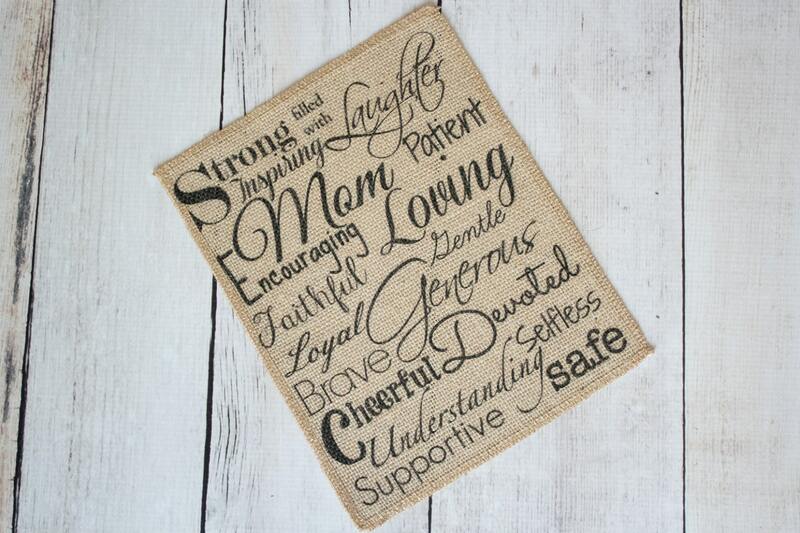 Give this inspirational burlap wall art as a daily reminder of how much she is cherished! 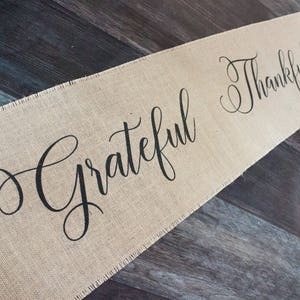 Burlap is a great textile, from shabby chic, eclectic cottage, or rustic country, it is the fabric of choice because it blends with so many styles. 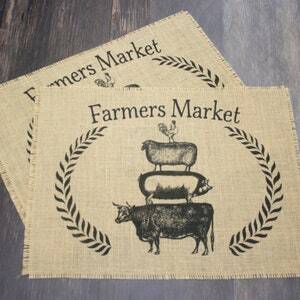 It is personally designed by me and printed directly onto the burlap with specialty textile ink; no paint, no vinyl, no stickers, just burlap. This listing is for a single piece of printed burlap measuring either 8"x10" or 11"17" so it will fit perfectly in a mat or frame (not included!). 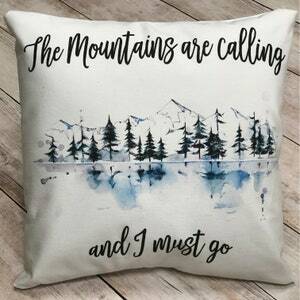 It is personally designed by me and printed directly onto the burlap with specialty textile ink; no paint, no vinyl, no stickers, just burlap. 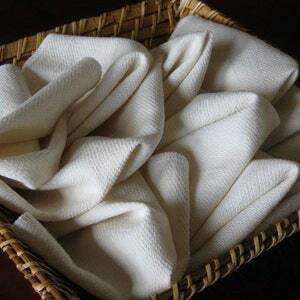 The edges are sewn so there will be no unraveling. I use only the highest quality premium burlap for all my pieces. The even texture and tight (for burlap) weave makes the wall art really pop.